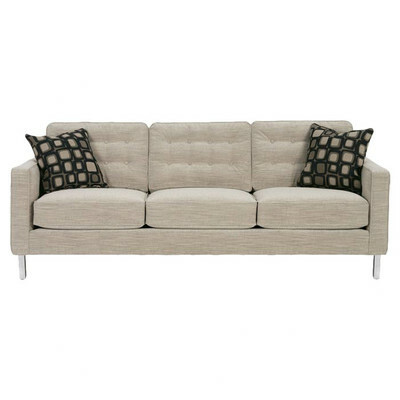 Create a modern vibe with the Dorset sofa by Rowe Furniture. Its trendy style and brilliant design come together in this handsome sofa. The button tufted back creates texture while the track arms with welt and straight back create sleek lines for visual aesthetics. 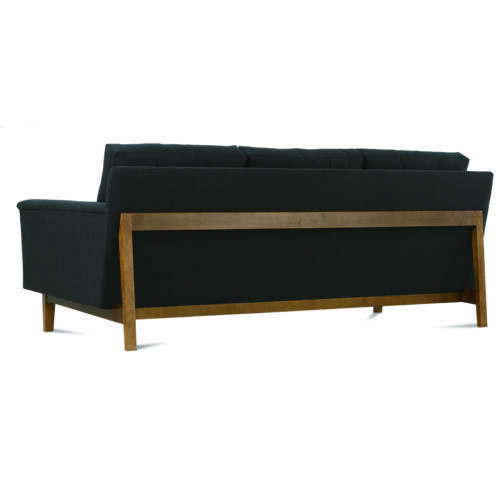 The inclusion of this piece is a must-have, extra long seating for optimum relaxation. 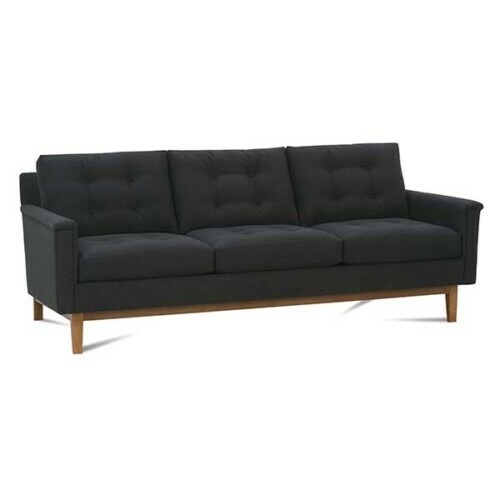 Measurements for the Large Sofa are 89″ Wide x 37″ Deep x 33″ High. Arm Height 25″, Seat Height 21″ and Seat Depth 22″. 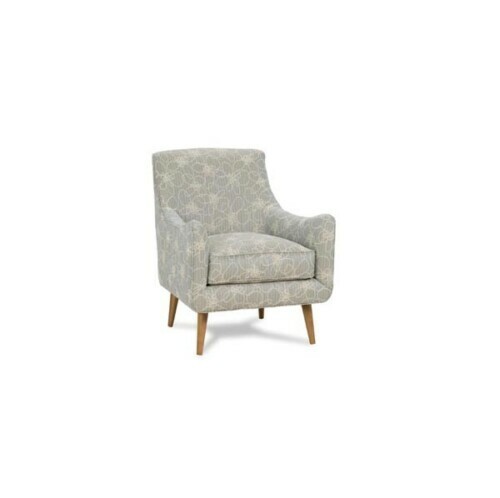 Price varies depending on the custom fabric choice of your choosing and can range from an N grade fabric at $1185 to a MM grade fabric at $2205. 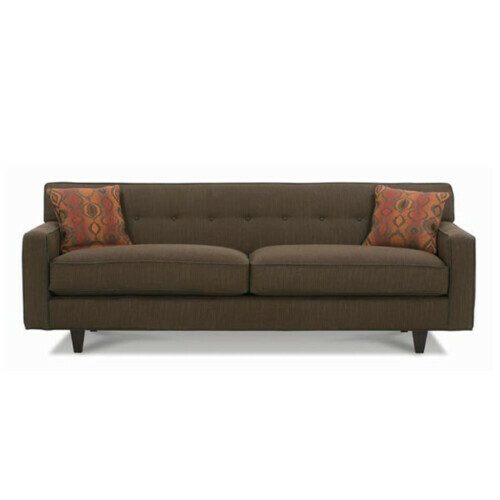 The Dorset group is available as a Large Sofa, Medium Sofa, Mini Sofa, Pull Out Queen Bed Sofa, Chair and Ottoman. Please inquire for measurements and pricing options.